The good news: As 2012 progresses, streaming media continues to reach more viewers worldwide than ever before. It appears that this growth will continue as increasingly more people watch content on web- and mobile-connected devices. The bad news: The variety of web-connected tablets and smartphones continues to grow, as well as the range of mutually incompatible standards available for viewing streaming media. For content providers, this means that they have to serve more platforms than ever before, at their own expense. The combination of these two factors poses major challenges for streaming media content producers and distributors. To get a handle on the issue, we’ve asked numerous industry experts to delve into the questions and answers linked to “getting your content on all devices”—including whether the effort is worth the expense. Being on All Platforms: Is It Worth the Hassle? Unfortunately, profit-minded content providers must be on as many platforms as possible, says Mike Rotman, founder and CEO of Streamin’ Garage. His site produces original HD streaming content (live and VOD) and has been hired by third parties to stream events such as James Cameron’s opening day promo for Sanctum, the Screen Actors Guild Q&A with Moneyball’s Brad Pitt and Jonah Hill, and Katalyst and Intel Corp.’s IdeaJam: Dream Bigger conference. “From the content-delivery perspective, if you’re not able to deliver to all the different platforms, then you’re missing a portion of the market [that] might want to view your content on a platform that you don’t support,” says Alex Dobrushin, chief marketing officer of Wowza Media Systems, Inc. “You’re also missing an opportunity to generate revenue from that content.” And that’s a crime no profit-minded content producer can ever afford to commit. 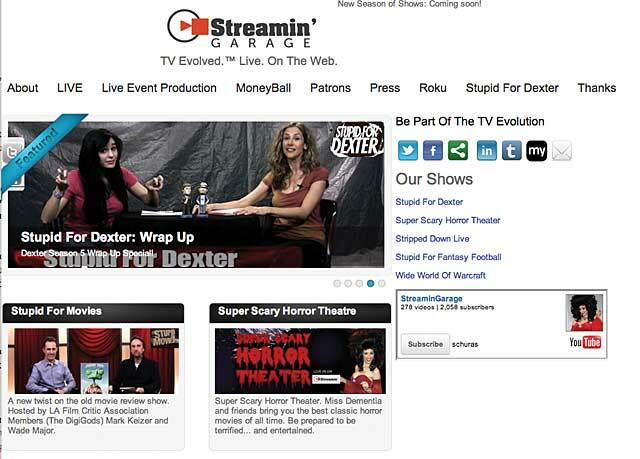 “The more eyes that see your shows, the better,” says Streamin’ Garage founder Mike Rotman. To that end, Rotman has worked hard to get shows such as Stupid for Movies on devices such as the Roku. To view the all-platform problem from another angle, “A content provider has already created valuable video assets that a majority of their userbase desire to view,” says Gene Cannella, technical director and principal engineer at Cisco Systems, Inc. “That user-base increasingly expects to be able to view those video assets whenever, and wherever, they want. If any of the key devices are not supported, users (who become very attached to their particular device) will find alternate video offerings that they will be able to watch on that device.” Translation: If consumers can’t get your programming on their platform of choice, they’ll tune to something else. The problem is this: “We’re getting to a point where consumers expect video to be ubiquitous,” says Ashraf Alkarmi, director of product management at Brightcove, Inc. That’s not all. Today’s content consumers do not care about whatever hassles and expense content providers endure to meet their demands: Like children demanding a favorite toy, “they want to watch whatever they want, whenever they want, wherever they want,” Alkarmi observes. Even traditional broadcast content providers are not immune to this demand, says Matt Smith, VP of internet solutions at Envivio, Inc., which makes processers and encoders for broadcast and over-the-top delivery. 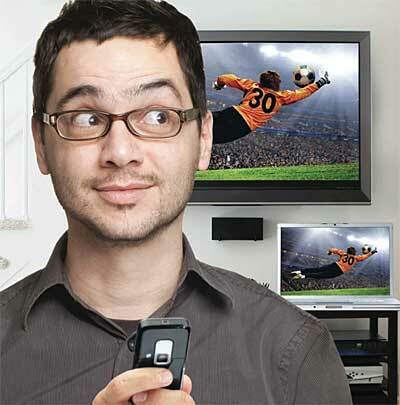 “Television viewing has become a multiscreen proposition, even in the living room,” Smith warns. “Many consumers are watching television on their big screen with a tablet or iPad in their hands, or with a laptop present.” Broadcast content providers that do not have content for these “second screens” risk losing this turf to competitors that do. In the case of events that are available on all networks—such as breaking news—this shortfall can motivate TV viewers to change channels so they can have the two-screen experience they want. NeuLion’s list of “must-be-on platforms” includes PCs, mobile devices, tablets, gaming devices, and connected TVs. Summary: It doesn’t matter whether or not you want to be on all platforms, the experts say. If you want to be a player in the streaming media market, you have to be everywhere. In a world of multiple viewing platforms, some platforms are more important to be on than others. 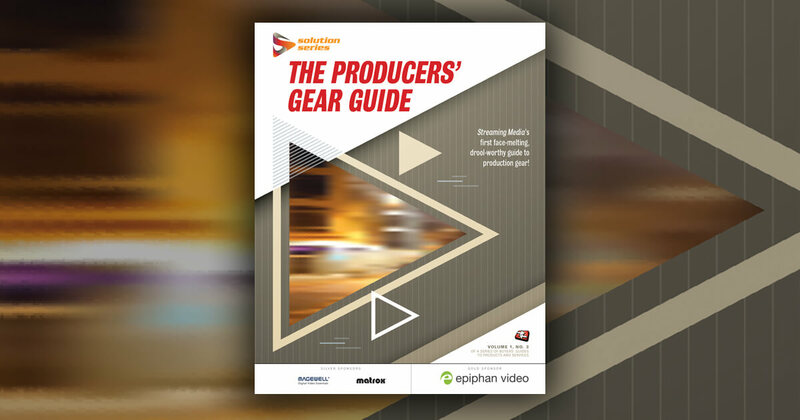 For content providers and distributors, this means that they have to know what’s out there and what’s coming—and make their standard/platform support plans accordingly. So what are the must-be-on platforms for 2012? On this point, the experts vary in their opinions. Predictably, their answers are tempered by the markets they see as being most important. Still, savvy readers should note all of the answers and then make up their own minds. Trevor Doerksen is CEO and founder of Mobovivo, Inc., a software company that makes white-label entertainment apps to market/distribute TV and film content. According to Doerksen, 2012 will see continued dominance by iPad and iPhone, and not much else. As a result, “I’m not seeing any other mobile devices driving customer or end user demand,” he says. Meanwhile, Streamin’ Garage’s Rotman remains focused on internet-connected TV sets. So far, the strategy has worked, with Streamin’ Garage racking up almost 100,000 subscribers on the Roku player. But Rotman is not resting on his laurels. To build Streamin’ Garage’s base further, “We need to expand to places like Google TV, Samsung, VIZIO, [and] Panasonic TV apps,” he says. NeuLion delivers live and on-demand content for clients such as the NHL, the NFL, and the NBA, as well as satellite distributor DISH Network, LLC. As a result, NeuLion’s list of must-be-on platforms is big. It includes PCs; mobile devices; tablets; gaming devices such as Xbox and PlayStation3; connected TVs such as LG, Samsung, and Panasonic; and set-top boxes such as those from Boxee, Inc. and Roku, Inc. This diagram from Wowza illustrates the various delivery protocols and formats required to deliver content to multiple devices. Note that NeuLion isn’t alone in pushing ahead with Microsoft-based platforms. “We’re seeing some momentum behind Xbox and Windows Mobile in 2012,” says Brightcove’s Alkarmi. Wowza’s Dobrushin says, “Existing protocols will undergo changes, and there will be new protocols that will require support. For example, Apple is expected to release a new version of iOS, and Google is constantly evolving its Android operating system.” Wowza is also preparing to support MPEG-DASH. Clearly, there’s a lot to be aware of when it comes to deciding which platforms must be served. This is why smart content providers/ distributors have in-house people who are dedicated to tracking trends in emerging delivery standards and platforms. “You need someone who knows how to make apps that [work] on all the different devices,” says Rotman. “There is no universal way of doing this,” so you can only do the best you can. OK, we’ve demonstrated that it makes sense to be on as many platforms as possible and that there are a lot of platforms to stay on top of. So how do the experts do it? “The solution starts by keeping your content packaging options open through ‘future proofing,’” says Kevin Schaff, CEO and founder of Thought Equity Motion, Inc., a provider of cloud-based video management and licensing services. Effective future proofing, Schaff says, includes “digitizing and storing content at the highest originating quality to retain flexibility to support any current and future downstream formats.” You also want to ensure that the metadata associated with your content provides as much useful detail as possible, to make future repurposing simple to execute. Collectively, the aim is to ensure that your video will look good on whatever standards and platforms emerge in the future and that it will be possible for your content to be produced on platforms yet to be imagined. Edgeware breaks its multiplatform delivery strategy into subscribers, devices, services, reve sources, and quality of experience. Next, talk to others in the industry to get their views on where platforms are going and what’s coming up. This lesson has not been lost on Brightcove. “We spend a great deal of time listening to our customers, learning about their challenges and goals, and developing solutions that can help,” Alkarmi tells Streaming Media. And don’t just listen; get involved in driving industry standards. For instance, Brightcove is “very engaged with organizations and standards bodies across a broad range of industries that affect and help drive our diverse set of customers’ businesses,” he says. Finally, don’t let your research into platform trends pull you away from creating content because staying hands-on will help you stay current. In fact, “The best thing to do is make content,” Rotman advises. “Keep producing, keep finding something that people want to watch.” To do this effectively, you will have to know what devices and platforms people are using. This will help you keep up. 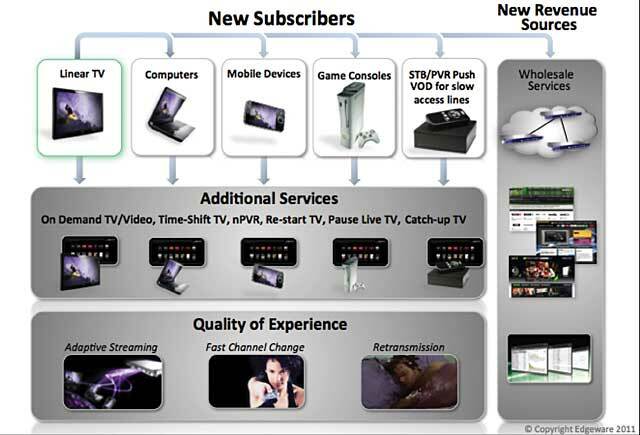 Ever-increasing and evolving distribution platforms/standards are a fact of streaming media life. Content producers and distributors must stay current with changes in this technology and must never become complacent that the solutions they’ve got in place today will be sufficient tomorrow. So should you do everything you can to get your content on all devices? The basic answer is yes, tempered by the need to serve the most popular platforms first—and to be able to adapt to the fact that this year’s top platform may be history 12 months down the road. Take this attitude, and you will maximize your chances of streaming media success. Sit on your laurels, and you can be assured that your success will vanish in an internet minute. This article was published in the April/May 2012 issue of Streaming Media magazine under the title "By Any Platform Necessary."